Today, the National Council on Disability (NCD), an independent federal agency, released a new report, “Experience of Voters with Disabilities in the 2012 Election Cycle”, to gauge the effectiveness of the Help America Vote Act (HAVA). The report was prepared in partnership with the National Disability Rights Network and EIN SOF Communications. Enacted by Congress in 2002, HAVA sought to ensure that Americans with disabilities could vote independently and privately alongside their non-disabled peers. But has the law succeeded? To answer that question, NCD gathered the experiences of nearly 900 voters with disabilities across the nation during the 2012 election cycle using an open-ended questionnaire which became the blueprint for the report. Experience of Voters with Disabilities also provides a comprehensive overview of how federal funds were used in an attempt to increase and insure voting access in the United States. + Physical Barriers: Americans with disabilities continue to face barriers in exercising their right to vote privately and independently due to architectural and physical barriers at registration and polling sites. – Nearly 40% of respondents to the NCD’s questionnaire encountered physical barriers at their polling places. + Technology: Voters with disabilities do not have equal access to voting systems because states and localities have not invested adequate resources, planning, and training to provide reliable, accessible voting technology. – 45% of respondents reported barriers inside the polling place involving voting machines. + Discrimination: Voters with disabilities face discrimination at voter registration and polling sites resulting from poorly trained election personnel and volunteers. – Nearly 54% of respondents encountered barriers, including attitudinal, inside the polling place. – 20% of respondents said they were prevented from exercising a private and independent vote. + Accountability: State and local election officials must comply with all accessibility provisions of HAVA, the Americans with Disabilities Act, and other relevant voting rights and civil rights laws. + Access: States should upgrade and/or maintain voting equipment to assure fair, equal, and universal access for voters with disabilities. + Training: State and local election officials must invest in adequate training for all election personnel, staff and volunteers. + Adoption: The Presidential Commission on Election Administration should endorse the recommendations in NCD’s Experiences of Voters with Disabilities report when submitting its proposals to the President later this year. Congress should appropriate funding for state secretary of state (SOS) offices to support the purchase, upgrading, and maintenance of electronic voting systems. NCD recommends that Congress appropriate funding for SOS offices to support the purchase, upgrading, and maintenance of electronic voting systems. In the current world of technological advances and ever-changing electronic business methods, updating and improvement in voting systems is perhaps the most costly of HAVA’s innovation goals, but it holds the most promise for providing a barrier-free voting experience for voters with disabilities. The full report is well worth reading and can be accessed here – thanks to the NCD for their work on this report and stay tuned to whether and how it has an impact on election administration going forward! 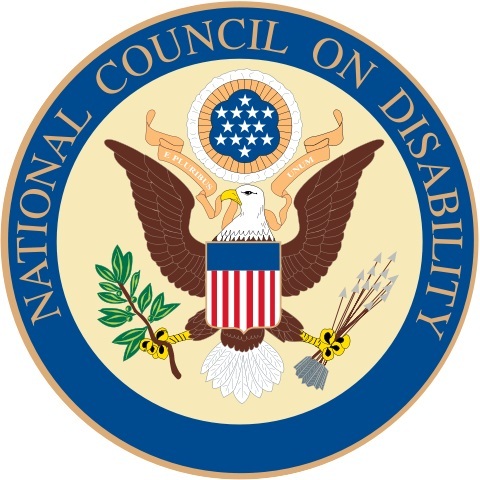 Be the first to comment on "National Council on Disability Issues Report on 2012 Election"